Oklahoma last week became the latest State to launch high profile litigation against the Environmental Protection Agency. The subject of the Sooner State’s lawsuit is the Regional Haze provision of the Clean Air Act. For a Regional Haze primer, click here. Suffice it to say, Regional Haze is an aesthetic regulation meant to improve the vistas at national parks, not a public health standard meant to protect human beings. Also, it affords States a uniquely large discretion among Clean Air Act provisions. In late 2010, the Oklahoma Corporation Commission approved a Regional Haze implementation plan that would switch fuels from coal to natural gas at six power plants. Fuel switching is a drastic response, especially for an aesthetic regulation, but it wasn’t good enough for the EPA, which is demanding that the switch take place 10 years sooner. If not, the EPA is requiring pollution controls that would increase electricity prices in Oklahoma by 10 to 12 percent. Oklahoma public officials balked at the EPA’s proposed cost (roughly $2 billion) of complying with an aesthetic regulation over which the States are supposed to be accorded the fullest deference. In December, Corporations Commission Chair Dana Murphy issued a public letter accusing the EPA of trying to impose a plan that “needlessly jeopardizes our economy.” Last week, Oklahoma Attorney General Scott Pruitt filed a suit in federal court alleging that the EPA violated Clean Air Act procedure in the course of overruling the State’s plan. Oklahoma is only one of many States challenging the EPA in court. Virginia, Texas, and Alabama are suing the EPA over its regulation of greenhouse gases under the Clean Air Act. West Virginia and Kentucky are challenging the EPA’s practice of issuing “do or dare” Clean Water Act permits for surface coal mines, whereby the applicant must adhere to “non-binding” guidance documents or face an EPA veto. It’s likely there will be more lawsuits. With an eye on re-election, President Barack Obama has delayed the most broad-based, economically harmful environmental regulations, including a more stringent ozone standard and a mercury requirement for industrial boilers. There is no doubt that these regulations will return, and when they do, they’ll undoubtedly engender more litigation from States that have bigger priorities (read: jobs) than trying to sate the President’s implacable environmentalist base. 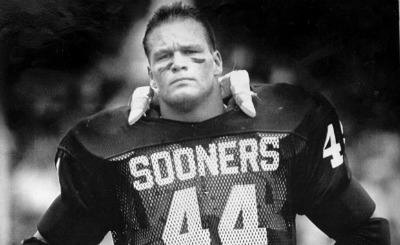 Great pic of the Boz! Glad to hear they’re going to fight it. This haze thing is mighty lame. What most folks don’t know is these coal-fired plants were built at the ‘urging’ of the federal government during the Carter administration, when natural gas plants were originally planned. They’ll get ‘ya coming and going….